Kim’s legacy: Is the patient worse off for the doctor’s intervention? 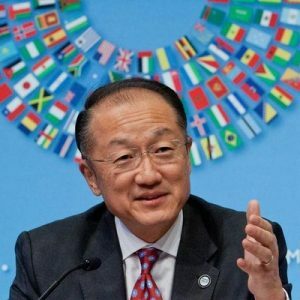 As Jim Kim enjoys his last day at the helm of what he obviously considers an organisation of fairly limited influence, it is a good time to do a bit of stock-taking of our own. One could of course say many things about the doctor’s reign at the Bank (and I would in fact invite you, dear reader, to do so in the comments section below). Given his proud mention that he had ‘read up one side of Marx to the other’ and his near religious faith in the private sector’s miraculous metamorphosis into a benefic development actor, one hopes he was a more attentive medical student. He at least seemed to be more engaged in whatever management consultancy books he used to assist him in convincing shareholders to agree a capital increase in the absence of any significant structural changes to the way the organisation works. In light of well-documented concerns within the Bank about the lack of focus on development outcomes and the pernicious impact of counter-productive staff incentives, this seems indeed quite an ‘accomplishment’. Perhaps he is right in asserting that it is the right time to depart and, literally, capitalise on the work he has done in making the world’s most important public bank ever more like one of the private sector firms he so admires.